The Pakistan Trade Union Defense Campaign (PTUDC) held a protest demonstration on Saturday outside the Karachi Press Club (KPC) and demanded the safe working conditions for labourers and compensation to the families of Gadani tragedy victims. It also demanded the construction of a proper hospital at Gadani. A large number of workers from Pakistan Steel Mills, Karachi Port Trust (KPT) and Pakistan Post participated in the protest. The protestors, carrying placards and banners, raised slogans against the responsible of Gadani incident. PTUDC Central President Comrade Nazar said that the government should abolish the contract system at the ship breaking yard as it was exploiting the labourers. 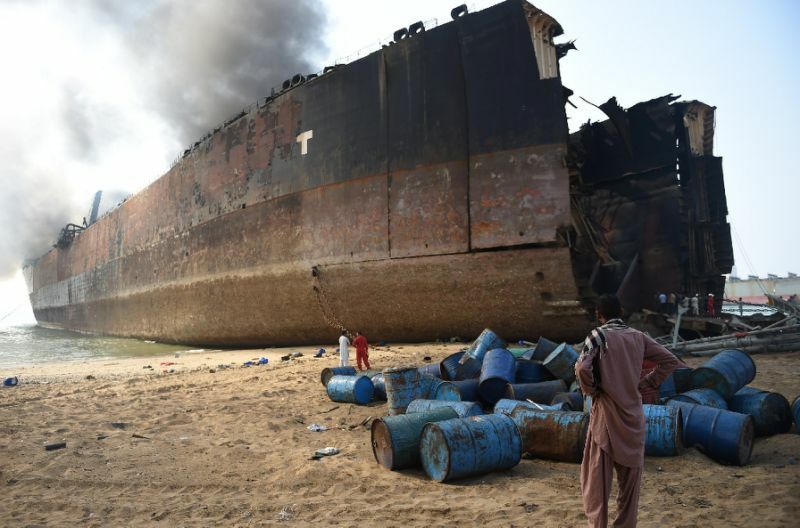 He urged the authorities to ensure safe working conditions at the ship-breaking yard including construction of a hospital with emergency care facilities. He said that the compensation for the workers should be given on priority.